We are really pleased to announce that Inside Outcomes CIC has been accepted onto the Serendip Smart City Incubator programme. The programme, based on the Innovation Birmingham Campus gives an opportunity to work in partnership with the West Midlands Academic Health and Science Network. We hope that this partnership will give us the opportunity to grow our business but also to promote the adoption of civic technology in the health & wellbeing sector. We are one of the first social enterprises to be accepted onto the programme. Along with Altruist Enterprises (Katie from Altruist is in the photo above). 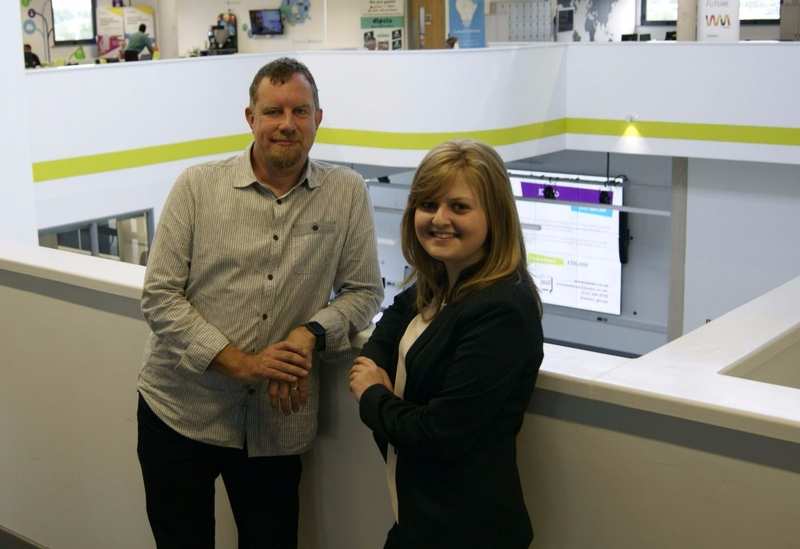 The recognition that social enterprise can play a vital role in digital health is welcomed by us and we believe that this partnership will help us to demonstrate that open source software should be the default in publicly funded services. Being successful in the application and interview process has provided further justification to our business model and our decision to embrace the move to become a social enterprise. Through working in the centre of the Digital Health Quarter we hope to find more partners to work with and help other services to integrate together through a shared approach to measuring outcomes and demonstrating social impact. You can find more information about our move, and the Serendip Programme, here.